The schoolgirl was forced into a car and taken away, until gardaí intercepted the car on the M1 in Dublin. A TEENAGE SCHOOLGIRL was rescued by gardaí when eye witnesses raised the alarm and gave chase after she was forced into a car in Dublin and driven away, a court has heard. 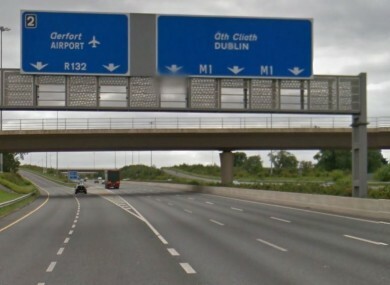 A youth will face a Circuit Court trial accused of false imprisonment of the teenage girl, who was forced into a car and taken away, until gardaí intercepted them on the M1 in Dublin. Judge John O’Connor said the case was too serious to be dealt with in the Dublin Children’s Court. Following a preliminary hearing, he refused jurisdiction and said the youth would have to be tried before a judge and jury in the Circuit Court in Dublin, which can impose tougher sentences. The boy, aged 17, and another youth were arrested and charged earlier in connection with the incident in north Dublin on 10 November. During a hearing to decide on the youth’s trial venue, Judge O’Connor was shown CCTV evidence and given an outline of the prosecution evidence. The footage showed the schoolgirl being approached by another female and brought to a car parked nearby. It is alleged the teenage boy was the driver of the car and that the girl was forced into vehicle by two males. It was alleged there was a struggle and witnesses heard screams. The car was followed by witnesses while gardaí were contacted. The teen has an address in England and his parents listened to the proceedings with the help of an interpreter. He has been refused bail and was further remanded in custody pending the preparation of a book of evidence. Gardaí also plan to object to legal aid being granted to him because his family have “significant means” and had a number of valuable Jeep, BMW and Mercedes vehicles. His co-defendant, another 17-year-old boy, is on bail and has an address in Ireland. He is due to appear again at the Children’s Court in January for a ruling on his trial venue. The youths cannot be named because they are minors and have not yet entered pleas to their charges. The court has heard the girl now wants to withdraw her complaint. However, in the public interest, the DPP wants the case to proceed. Email “Girl's false imprisonment by teenage boys deemed too serious for children's court”. Feedback on “Girl's false imprisonment by teenage boys deemed too serious for children's court”.